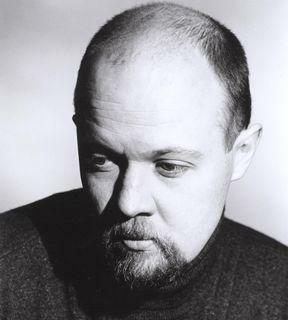 Australian bass-baritone Andrew Collis was a member of the Cologne Opera from 1993, beginning in the Opera Studio and joining the soloist ensemble in 1995, where his roles included the title role in Le Nozze di Figaro, Schaunard and Colline in La Bohème, Hobson in Peter Grimes, Mr Flint in Billy Budd, Dr Kolenaty in The Makropulos Case, Tchelio in The Love of Three Oranges, Leporello in Don Giovanni, Don Magnifico in La Cenerentola, the Marquis in Dialogue of the Carmelites and Dr Falke in Die Fledermaus. Andrew has performed with the opera companies in Berlin, Frankfurt, Essen, Mannheim, Dortmund, Wiesbaden and Düsseldorf and in concerts in Strasbourg, Stuttgart, Bonn and in Cologne with James Conlon, including his participation in the award-winning recording of Zemlinsky's Der Zwerg for EMI. Other international performances have included two appearances at the Hong Kong Festival in Tosca and Un Ballo in Maschera, the Lyric Opera of Singapore's production of The Magic Flute and the St John Passion, in the Canary Islands. In 2001 he appeared at the Vienna Festival in Luigi Nono's Intolleranza and in 1997 at the Perth Festival as soloist with the Prague Chamber Orchestra. More recent international engagements have included Colline in La Bohème for San Diego Opera in 2005 and Bartolo in The Barber of Seville and Mr Flint in Billy Budd for Cologne Opera in 2007. In Australia, Andrew has performed with Opera Australia as Friar Lawrence in Roméo et Juliette, with Opera Queensland in La Bohème, Die Fledermaus, Il Barbiere di Siviglia, Giulio Cesare, Carmen, the title roles in Don Pasquale and The Marriage of Figaro; Friar Lawrence and Sarastro for the West Australia Opera, Victoria State Opera in Otello and Fasolt in Das Rheingold for State Opera of South Australia’s Der Ring das Nibelungen production, which has been released on Melba Recordings. In addition to his operatic repertoire, Andrew has an extensive list of concert and oratorio performances to his credit, including Magnificat, Coffee Cantata, and Mass in B minor of Bach, Messiah, Samson and Semele by Handel, Die Schöpfung, Stabat Mater and masses by Haydn, Beethoven Missa Solemnis and Mozart Requiem. Recent engagements include Beethoven Symphony No. 9 with the West Australian, Melbourne, Adelaide and Tasmanian symphony orchestras, St Matthew Passion for Perth Festival, Mendelssohn Erste Walpurgis Nacht for Melbourne Symphony Orchestra, and St John Passion for Sydney Philharmonia. 2007 and 2008 engagements included Sonora in La Fanciulla del West for MSO, Zaccaria in Nabucco Opera Queensland and Messiah for TSO, TQO and MSO, his debut appearance at the New Zealand International Arts Festival as Captain Cook in The Trial of the Cannibal Dog in February 2008, The Speaker and 2nd Priest in The Magic Flute for West Australian Opera and Opera Queensland, Basilio in The Barber of Seville for Opera Queensland, Bach B Minor Mass for Sydney Philharmonia, Messiah for The Queensland Orchestra and for Opera Australia Mr Flint in Billy Budd, and Dr Kolenaty in The Makropulos Affair. In 2009 Andrew will perform Leporello in Don Giovanni and Duke Bluebeard in Bluebeard’s Castle for Victorian Opera, Doctor Grenvil in La Traviata and Monterone in Rigoletto for Opera Queensland, Spalanzani, Luther and Crespel in The Tales of Hoffmann for State Opera of South Australia, Arkel in Pelleas et Melisande for TQO and return to San Diego Opera as Hobson in Peter Grimes.